Now, I’ve been to a few night clubs in my day. And, I can appreciate a smooth-sailing doorman experience. That means minimal waiting with an organized guest list. Because, you know, VIPs like me hate waiting. 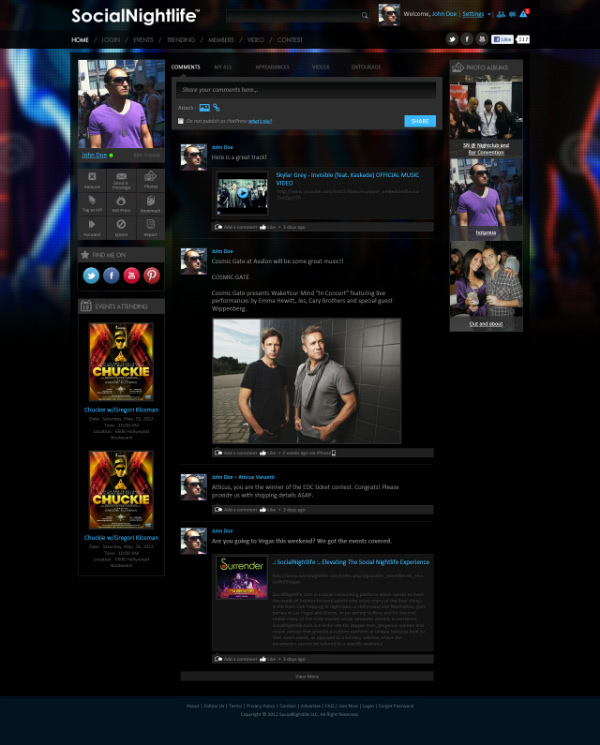 Good thing there’s tools like SocialNightlife that help both nightclub professionals and acts as a social networking solution for nightlife fans (like myself). 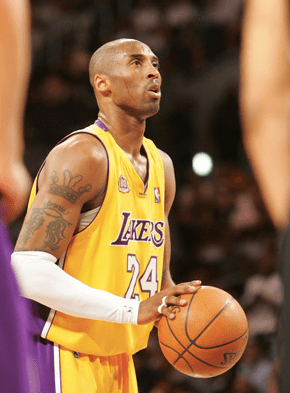 We recently had the opportunity for an interview with founder and CEO Artin Nazarian to talk SocialNightlife inspiration, his current club du jour, and why he wants to dine with Kobe. Tell us a little more about what inspired SocialNightlife. 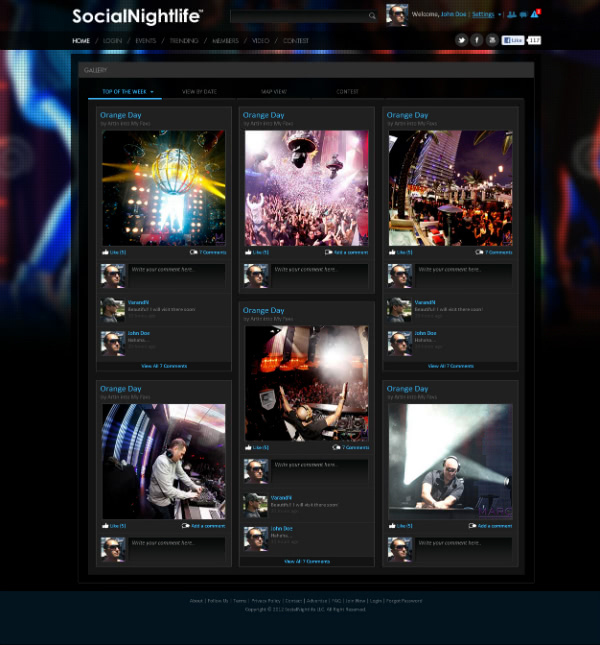 SocialNightlife was inspired by the love of electronic dance music, huge pet peeve of mine which is great customer service, the passion for new technology and seeing a gap in the marketplace for tools that are meant specifically for the nightlife industry which is extremely fragmented and can benefit with some form of centralization. Specially in the operations and marketing aspect as most of the effort and new innovations were happening in lighting, sound and music. And being a six sigma black belt and having helped organization become ISO certified helped going from inspiration, to motivation to production and launch. Do you have a favorite nightclub? Right now, my favorite nightclub would be Marquee in Las Vegas. It was designed to be a big DJ venue and being a huge fan of EDM, the energy level in the main room is incredible when a big DJ takes over, which is almost every week. There are many good ideas but the great ideas that change lives and build companies are the ideas that solve problems. If you label yourself an entrepreneur, you must be a problem solver and do it better than anyone else. For a person living today, I would say Kobe Bryant. I am a die hard Lakers fan and it hurts me watching them right now and I want to get his honest perspective of what is going on. Plus, it would be very cool to have lunch with him since basketball is my favorite sport which I played as well. For a person not alive today, I would love to have lunch with Walt Disney. He embodies creativity and innovation and it would be an honor for me to be able to pick his brain. Getting funding and putting together the right team. Technology has advanced and consumer are more savvy and have established habits so the product needs to be innovative and solve a problem but also, take into account the established habits of the intended customers. For example, as a car manufacturer, standard features have grown and become better with technology. You can’t introduce a car into the marketplace with standard features from 1999. Similar is true in tech based on what the product is. And this needs funding and the right team. 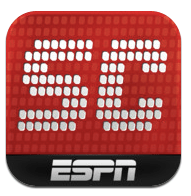 I have to say my itunes app and ScoreCenter app from ESPN on my iPhone. iTunes holds my music and movies and ScoreCenter is everything sports. For movies, I usually fall back to Netflix. Recently I watched the documentary on Bob Marley, called “Marley.” I highly recommend it to non reggae fans who are not familiar with Bob Marley. For music, being a huge fan of EDM I’m always downloading live DJ sets from iTunes as podcasts. The live set are more high energy than listening to the albums. What’s the greatest thing about SocialNightlife? What it can achieve and its potential, which will benefit both fans and industry professionals. And that is centralizing a fragmented industry with an overall goal to automate mundane tasks and put more focus on customer service for guests of venues and events.